The situation of the youth in our countries continues to deteriorate under the weight of the Capital’s unified policy, the EU and their governments. Unemployment, exploitation, insecurity, cutting the rights and protections achieved in years of the workers movement struggles. Education, health and all forms of social support are transformed into new profit fields for the monopolies and into privileges for those who can afford them. This is the present and the future that capitalism is organizing for the youth of the working class and the popular strata. A present and a future that corresponds to the bourgeoisie need to respond to the capitalist economic crisis trying to increase their profits and their power system. This dynamic doesn’t know any borders between our countries and is common across the continent. We say clearly to the youth of the working class and the popular strata, that in the context of capitalism we cannot hope for anything better than to become the next generation from whom the bourgeois class is enriched by its work, by its sacrifice, from its blood . Our struggle must start from this condition, developing common struggles appropriate to the current phase to repel the attack and prepare the conditions for the reconstruction of the working movement with a mass participation of youth in order to change the balance of forces. In the years of the crisis the social inequality has further worsened. On the one hand those who have ownership of the means of production, holding the wealth, and on the other one a huge mass of people who produce that wealth. Through the expansion of the big monopolies at international level, of all the productive sectors, will increase the processes of centralization and concentration of capital in a few hands, and at the same time extends the poverty of the working classes. Youth unemployment is increasing, leaving millions of young people a life of misery. Our enemy is the capitalistic system, the monopoly power, which currently holds the real sovereignty of our lives, and the international imperialist alliances such as the EU and NATO, which are instruments of defense of the interests of Great Capital. The EU and the promoted agreements meets the need of the creation of larger markets without barriers and obstacles to the action of the monopolies. They are presented to young people as achievements and opportunities for a peaceful future, development, progress and prosperity. Freedom of movement through european countries has nothing to do with these promises, but allows the full freedom movement of capital and the use of immigration as a way to ensure the required workforce and downward competition between workers. Every capitalist state necessarily distinguishes between useful and not useful migrant and has the control over permitting the citizenship. We, as communist youths want to overcome this logic and reject in particular the cuts in asylum rights/restrictive migration policies. Especially in times of crisis therewith reactionary and neo-fascist forces are strengthening and poisoning the minds of the youth with false myths and new forms of nationalism producing wars among poors that weaken the class struggle. The communist youth reject all forms of racism, always an instrument of division of the oppressed classes, an instrument of submission to the ruling class. We fight all forms of discrimination, we build the unity of the working class and the popular strata giving organization to advance together towards new class conflicts with an objective : the satisfaction of our contemporary needs. The inter-imperialist contradictions and the uneven development in each country, but also among the world, do not debar the existence of a common process that aims to the general reduction of wages, to the increased of productivity and of the exploitation as the only way to compete with new emerging imperialist centers. The competition for the contention of market control exacerbates scenarios of conflict and is likely to lead the new generations and all humanity once again on the brink of a world war. It is not possible in the imperialist stage of capitalism to reach the peace for the peoples. It will be only the peace with the gun : the imperialist peace, in constant coexistence with the imperialist war, as It shows the history of the last century but also the recent developments in Syria, Ukraine and other fronts around the world. Bourgeois classes are competing each other for the wealth and the energy resources, which transportation will be structured, which imperialist power will finally economically and politically prevail in the region, that couldn’t in anyway mistaken for an international stabilizing factor. The dynamics triggered by the capitalist economic relations is incompatible with the peace that the people need for a future of progress and prosperity for the working class and for the youth. We condemn military actions of our governments, we struggle against plans and the interventions of the imperialist alliances. The future of youth couldn’t be within NATO an EU, we struggle in conflict with every imperialist alliances until their final break. We express our solidarity and we participate in popular movements struggling against the construction of new military bases asking for the end of military spending for imperialist operations. We contribute to the reinforcement of WFDY and the deepening of its anti-imperialist character. We look with concern to the policy of governments for the rights of youth, whom have as objective all over the continent the interests of the bourgeois class. The changes in the strategy of the education system in each country reflect the needs for flexible workforce and low cost in the near future. Anywhere the access to education follows the class divisions. 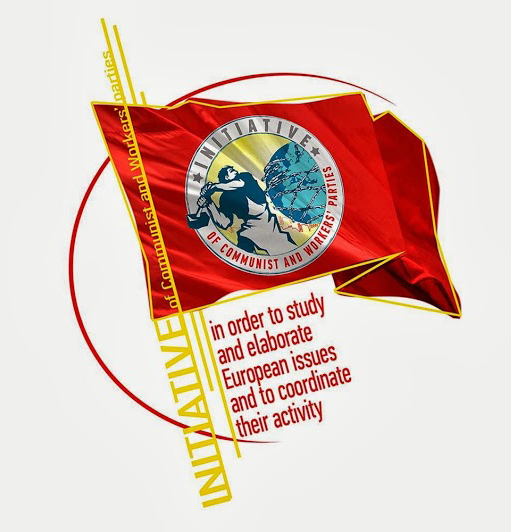 The European directives and national States create a privileged education systems for the young of the bourgeoisie to whom oppose schools increasingly disqualified and deprived of funding for youth of the working class and the popular strata. In every educational level class barriers are raised and education becomes a privilege and not a right. All statistics agree that our generation will have fewer rights and a lower standard of living than their parents. It is a reality that we already are living, not only in the workplace and in schools, but also in everyday life. The majority of young people today have difficulties to have a dignified existence. Against this condition we must fight to break the passivity of the majority of the young population against the total acceptance of this model of exploitation and misery as a natural order of things and the only views for our future. It would be wrong facing all this just looking back simply claiming the rights lost in these years. History has shown that any conquest achieved has only partial and temporary value, as long as we do not achieve a complete break with the capitalistic system. As soon as the balance of power, both in individual countries and globally, are aggravated to the detriment of the working class every advance has been systematically erased. The illusion of the social democratic vision and his compromise strategy for the management of bourgeois power, it is now definitely established as loser. Who still pursues this way, in the fact is deceiving the youth of the working class towards solutions that have as unique purpose and result the strengthening of the bourgeoisie power. For this reason, the struggle against opportunism is today more necessary than ever in the labour movement ranks and among the youth. It’s necessary to fight the illusions of reformability of the imperialist alliances (such as the EU and NATO), position advocated today by the new socialdemocratic and opportunistic forces as the European Left. It is an utopia and a fictions that have nothing to do with a real analysis of the role and function of these alliances. We affirm clearly that our struggle has as objective the construction of a socialist society. Of a system where there are not exploiters and exploited, in which the youth of the working class and popular strata can truly be owner of their destiny. We fight for a society in which we all have a job, right to a dignified existence, to education and universal health care, a house, to the development of our full personality through free access to culture and sport without any economical barrier. Only through the overthrow of capitalism and the construction of socialism-communism these achievements can be realized in a stable and truly universal way. Today among the society there are already all the material conditions for this to be realized. The extension of the social character of production, which constantly increases, makes the contrast with the capitalist appropriation of wealth increasingly evident. All the necessary needs are provide and satisfy by the workers in every field of our society. It is necessary that the working class and particular the younger generation become aware of the possibility and need for this change. We do not ignore that today the bourgeoisie extends its ideological attack on a large majority of the youth of the popular strata. The victory of the counterrevolution in the USSR and in the socialist countries has certainly played a primary role in this process. The smear campaign conducted against the applied socialism, the attempt of comparison with Nazi-fascism and the creation of the category of totalitarianism (wrong from every point of view), anti-communism and attempting to ban communist parties, communist youth and communist symbols have aims to transmit to the new generation a distorted view of socialism. At the same time the huge media apparatus, cultural and political at disposal of the capitalists have strengthened the possibility of influence they have in exercising their hegemony. But the crisis and the real conditions of life of the youth put today more and more contradictions with the vision provided by the ruling class and its hegemonic apparatus. The main task of the communist youth is exactly to give to the youth of the popular strata consciousness and organization. To conduct an ideological struggle by strengthening and tightening its ranks and building conscious vanguard engaged with militant spirit in the struggle for revolutionary change. This means countering point by point the work of deception carried out in recent years; fight against the individualistic logic, the attitudes of giving up and the passivity now rampant among the young people. Organize through struggles the way for a revolutionary change. We make ours the exhortation that Antonio Gramsci made to the youth " Educate yourselves because we will need all your intelligence, rouse yourselves because we will need all your enthusiasm, organize yourselves because we will need all your strength." Aware of this great task, we look to the future with optimism convinced that our age will be an age of great riots and social revolutions. We prepare at all levels to organize activities to celebrate the centenary of the Great Socialist Revolution in 2017, showing the youth the necessity and actuality of socialism, that the society for which we are struggling was realized and we can achieve it again. We declare here in Rome our willingness to continue to work towards a common path, working for the strengthening of our ties to extend the internationalist solidarity and our common struggle for the construction of socialism-communism.